I’ll tell you, it’s probably one of the more difficult things to do. And recent governments studies have shown that very few people, they only talk to one lender. In most cases the lender they talk to is the lender their real estate agent recommended. In a lot of cases, real estate agents are against the idea of their client shopping around. It’s not because they want to take advantage of the client. It’s not because they have anything bad going on. It’s because they’ve all had an experience in the past where a client went out and found a better deal, but then that lender dropped the ball and didn’t close. So real estate agents feel notoriously like the lenders with good deals, in their mind, are going to have bad service. They’re not going to close on time. They’re going to screw up the deal. That’s kind of the feeling. We dealt with this when we first opened at RP Funding and I offered no lender fees and we had our $1,000 best deal guarantee and all these things. Certain real estate agents who had never met us were saying, oh my, this must be another big online lender. They’re not going to close on time. And we don’t want our clients to use them. We’ve had to spend a lot of time showing the real estate community that we do close on time and that we do take care of our clients. So real estate agents are against the idea of shopping because there are these lenders out there who under price their products or they bait and switch the client and then they do not close on time. It happens all the time. 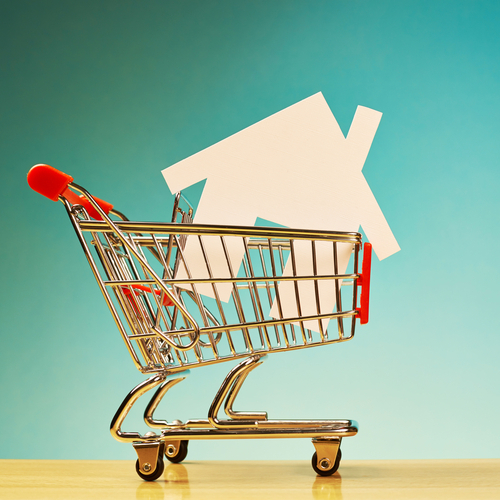 When you’re shopping as a homebuyer, you have to do two things. You have to, one, find a couple of lenders who are reputable, incredible, and who will close you on time, and then shop between them. Because there’s always some clown working out of his basement in New York, California or wherever who will give you an offer that sounds too good to be true. And it probably is. We see this all the time, right, because we have our $1,000 best deal guarantee. So the way this works is I’m so confident we’re going to give you the best deal, if you find a better deal somewhere else, I’m either going to beat it or I’m going to give you $1,000. So I would say a couple times a week, we see a deal that we think is to be true. And we do not beat it. We tell the client, you know what, when this guy closes under these terms, I’m going to write you a check for $1,000 because I think this is too good to be true. I think this is a bait and switch. I think you’re going to pay in the end, I wish you would reconsider, but I understand you believe this to be true. So you’re going to go with it. Then when we call them back a month or two later and say, hey, just checking in, do we need to write you that $1,000 check? Nine out of ten times the answer is no. Because what happened is they got bait and switched. The deal never closed. The deal they thought they were going to get is not the deal they got. Now, occasionally there is that 1 out of 10 where they do you find the better deal and they do close on the better deal and we write them that check. We pay the $1,000. I’ve written probably two dozen checks. But 9 out of 10 times, what they find is that the deal they were offered was too good to be true. The way lenders do this is they do not lock your rate in. The rate lock is the mechanism that the lender can use to bait and switch you. What happens is they quote you a rate today. Well, today I’m going to give you X rate. But we’re not going to lock that rate in. Why not? That sounds like a great rate. I’d like to lock that rate in. No, no. We shouldn’t lock that rate in because I think rates are going to get even better. So we’re going to float your rate. We’re not going to lock your rate in. And then two days before closing when it comes time to lock your rate in, all of a sudden rates are much, much worse. Oh, I know I told you X. But, no, rates are much, much worse. Whether rates actually got worse or not, they will tell you the rates got worse. They can because you never made them lock your rate in. One important thing is if you are shopping around for a mortgage, make sure that every company you are talking to is willing and ready to lock your rate in that day and lock the rate. Don’t play the float game. When a consumer plays the float game, it moves all the power back to the lender. Because two days before closing, they can tell you whatever they want and you can’t do anything about it or else you risk losing your new home. Make sure you’re getting locked in up front. Make sure you have a rate lock. Some lenders will tell you, oh, we can’t lock your rate until we get the appraisal back. Hang up the phone. Call a different lender. Oh, we can’t lock your rate until after the underwriter sees your file. Hang up the phone. And call a different lender. These are all gimmicks and tactics used because it allows them to legally bait and switch you. You see, the bait and switch is illegal in the mortgage business. They can’t change the fees. Once they issue a rate lock commitment, they can’t change the rate. But if you don’t get a rate lock, if you agree to float, you’ve now given them a license to bait and switch you on your mortgage. Won’t Shopping Around Hurt My Credit? Early on in our radio career together, you brought up something that most people– I’d say 95% of the people in the listening audience had no idea– you pointed out that sometimes that unscrupulous mortgage company or loan company might say, now, you don’t want to shop around because if you do that’s that many more hits on your credit report. Absolutely not. Yeah, the credit bureaus, they reward and respect you for being a smart consumer in shopping. So if you have your credit pulled by multiple mortgage companies, they consider that one single credit pull because they don’t want to damage your credit. They want you to shop around. The mortgage guy who is telling you not to shop around, not to have your credit pulled, it’s probably because his rates and fees are astronomical. And he’s going to take advantage of you. One, make sure you can get a written rate law commitment up front from that lender at the time that they’re quoting you the rate and you’re ready to move forward. Two, make sure that you do shop around. Don’t let them scare you away by telling you that your credit score is going to be dinged. Three, really take a hard look at the fees. Rates change every day. You can even negotiate rates with some lenders. But fees are what the fees are. So if lender A is going to charge you a bunch of junk fees and lender B has no lender fees, this can a lot of times save you a lot of money because the same rate with less fees is going to be a better deal for you. Is Your Real Estate Agent a Good Source? Now, one of the things that makes it hard to shop around is your real estate agent probably only has a relationship with one lender. Your real estate is going to recommend that single lender. Your real estate is going to panic at the idea of you going out and calling other lenders because they’re afraid you’re going to find some online lender who doesn’t close on time and puts the entire transaction at risk. So what you have to do as a consumer is you have to try to find a couple of other lenders who are credible and who do have experience closing purchase loans on time. If you press your real estate hard enough and tell them that you are insistent on shopping around, most of them will have a second and third choices they’ll share with you. And a lot of cases, they’re going to push the main choice. Maybe that’s the preferred lender who pays some bills to their boss. Maybe that’s their in-house lender. Maybe that’s their best friend from high school, whatever it is. But if you push them hard enough and say, look, I am absolutely going to get quotes from three companies. I’m going to talk to that lender of yours, I would like for you to recommend two others or I’m going to go find them on my own. They don’t want you to find them on your own. They’ll most likely give you the three recommendations. The other thing is you can do research for yourself. Another option would be call some other real estate agents and ask them who their favorite lenders are. Right. There’s like 17,000 real estate agents in central Florida, everybody has different preferences. A great way as a homebuyer is to find other real estate agents who like that lender. Or, if you’re talking to lenders, ask them for recommendations or ask them for references from other real estate agents. If you call us here at RP Funding, I can give you a list of 300 real estate agents who will give me a reference who think we’re the greatest thing on the planet. So even if you’re not working with that other real estate agent, they are happy to tell you that we do a great job. We have references available. If you call one of these internet lenders, they’re not going to have any references available because they don’t do a good enough job to have any real estate agents believe in them. So shopping around, you’ve got to talk to at least three companies. But you’ve got to make sure the three companies are reputable, ready to lock, can provide you with real estate agent references to verify they do close on time, and that they’re not going to take advantage of you by discouraging you from shopping around or charging you a bunch of unnecessary fees. You might have a company that you don’t know where they are. They could be in Chicago. They could be in Bangkok for all that matter. They’re on there and they’re saying, go ahead, just go online and apply. There’s no office locally. They can’t come down here to make lending talk to that business., but they can come here and talk to you. Absolutely. The keys you need to look at are is it a local reputable company. Do they care about their reputation or is this a company that changes its name every three months because they do such a terrible job that they get terrible reviews and they disappear. And then too, asking for those real agent references. That’s huge. Again, your real estate agent that you’re working with has not worked with every lender. It’s impossible. They don’t know who every good lender in town is. They can only work with a couple. So when you’re talking to lenders, when you’re being a smart consumer and you’re shopping around, ask all the lenders you’re speaking with to give you references from local reputable real estate agents. And then call the references. We have people call our references all the time. Hey, I’m just calling. I’m not working with you as an agent. But I would like to get a reference on RP Funding. Do they close on time? Do you think I’m going to have any problems? And these agents are happy to tell you yes. They’re happy to give you how they feel about us. Any lender who cannot provide those types of references, you should be wary of when you’re doing a purchase transaction. Now, if you’re doing a refinance loan, the risk isn’t as big. If a company tries to bait and switch you the day before closing on a refinance, you just tell them to pound sand. You can go start over with somebody else. You may run the risk that interest rates got worse, the market changed, but you don’t lose your house. Where when you work with an non-reputable lender on a home purchase and they bait and switch you or drop the ball two days before closing, you’re done. You’re going to lose that house. This is one of the reasons at RP Funding we built our closing acceleration program. We can close loans in less than 10 days. We’ve closed loans in four, five, and six days to bail someone out of a mess that somebody else put them in. Now, I can’t do it in two. That’s a little tough. But if somebody comes to me five, six days before closing and says, hey, I was working with this lender, an online lender, or maybe even a local lender, some guy working out of his basement that has no clue what he’s doing. It takes $300 and a weekend class to get a mortgage license. Then you can find some company to put you in business and set you up in your living room. All of a sudden, you sleep through the day you were supposed to send the underwriting file in and you forget or you spill coffee all over the file because it’s on your dining table. So whether you are working with an online lender or a local lender, if it’s not a reputable hardworking company who has systems in place to get you closed on time, it can really screw things up. We get this call all the time. There was a point, where as much as 20% of our business was coming from bailing other people out from other companies’ screw up. It’s gotten better. Because a lot of those companies have just disappeared. But, whenever rates drop and the refinances come back, those companies seem to reappear. Then they hurt the homebuyers when they try to switch back to the purchase business. So make sure you’re working with somebody reputable. Ask for those real estate agent references. 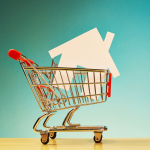 Don’t let your real estate agent convince you not to shop around. But do what they recommend, which is make sure you’re shopping around with the right kind of reputable company. And the best way to find out if they’re reputable company is ask them for references from other real estate.